Now for this nomination, I have to tell you 7 things about myself and then nominate other bloggers/authors to do the same. All they need to do is to link back to me, choose their nominees and answer 7 things about themselves and post links to their nominees…simple?! Trolling back through the years, I realise I’ve had an amazing life. Since the age of five I’ve been fortunate in visiting many countries and spent six of my tender years living in Malaya and Singapore. I am the eldest of three daughters and my family live in the south of England in Hampshire and Surrey. My father gave up hoping for a son after my youngest sister was born! After I left school, I studied and qualified as a State Registered Nurse and enjoyed working for a few years in the Guildford hospitals until I married and had my two children; a boy and a girl. I realised I had a great love for the theatre and the arts, and I started up a dramatic society in Cranleigh, Surrey with a few other members. Over the next few years we put on many plays and shows, some of which I was fortunate to star in! When I moved villages I joined a bigger group in Bramley, Surrey and again spent three years in various colourful productions. Nowadays, I love in Cyprus for part of the year and I’ve been fortunate to be part of the cast in Shakespeare plays which we perform in the ancient amphitheatre of Curium just outside Limassol. I’ve also discovered a passion for musical shows and I’m a member of a Limassol group; Premier, and we’ve had some recent fun this week with our own production of ‘One Day More’ which has been a complete sell-out complete with standing ovations! As a child I used to write stories for my sisters – and make them sit down and listen to them! As I grew older, my short stories became much longer until they resembled novellas. In the early 2000s, I started writing my first full-length novel – The Crossing. In 2001, my husband and I decided to buy a sailing yacht and see some of the world. We ventured down the French and Portuguese coasts to the Canary Islands and then down to the Cape Verde islands off Africa before hopping across The Atlantic Ocean. We spent many happy years cruising up and down the Caribbean island chain and went as far north as New York in the States and as far south as Venezuela. When we tired of these tropical islands we sailed Altarial back to the Mediterranean and spent a few years cruising as far as Turkey. During this time I spent many hours writing on board at the same time as I studied for an Open University science degree. A perfect life! The Crossing was published in 2009 with a London publisher. I have to be honest and say that the publisher didn’t come up to expectation with regard to supporting and marketing my book and in 2011 I decided to go it alone and self-publish. Since then I haven’t looked back. I recently rewrote, edited and added a lot more copy to The Crossing and have renamed it and turned it into two novels; The Seeds of Time (Book 1 of The Crossing) and Harvest (Book 2 of The Crossing). These books genre are hard to determine as they cover action, adventure, romance, mystery and World War Two. 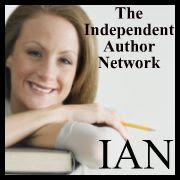 In 2012, I embarked on writing crime novels~ murder mysteries of suspension and thrillers! So far, in the Diana Rivers series (which are all stand-alone books), I have received some splendid accolades for, The Assassins’ Village, Children of the Plantation, The Surgeon’s Blade and Camera Action…Murder! The Assassins’ Village was voted #1 book on Harper Collins site Authonomy and became a bestseller on Amazon and The Surgeon’s Blade sold over 50,000 copies in 2012 after becoming #1 in suspense and voted in the top #3 in the Sunday Mail! My current work comprises of two novels. A Very French Affair is my first foray into romance and I'm delighted to say has just been released this week! And I’m near the end of writing my fifth Diana Rivers murder mystery, Evil Returns to the Village (yes set in Cyprus again due to popular demand!). This novel should be published April/May. My daughter has written a beautiful children’s book and I’m trying to persuade her to publish it as she shows great promise as a writer. My son is something big in advertising, and although I understand some of what he does a lot is still a mystery to this computer dinosaur! Last year my daughter made me a grandmother with a beautiful little boy; today he celebrated his first birthday. Life is indeed fulfilling and exciting: what more could I ask for? These facts about me, some of which I hope you feel will be of interest to you, are just a small part of my life: there have been many wonderful moments, but too numerous to mention.